I've started this post and deleted it maybe a dozen times this year, always afraid that I'll come off like I'm complaining, ungrateful, greedy or worse - a jerk. Today, I'm not going to delete it because something I recently read has given me the nerve to ask. So, if you'll be kind enough to indulge my brooding artistic side, I have a question for all of you about my first world problem that I can't shake caring about. It's a question that I'm embarrassed to need the answer to and I'm almost certain that there is no way for me to say what I'm about to..... See, right now I'm having the strongest desire to delete this, I hate that I want to ask, it makes me feel so... I can't put it into words. Okay. When I began writing Arden's Day six years ago I didn't really know about blogs. 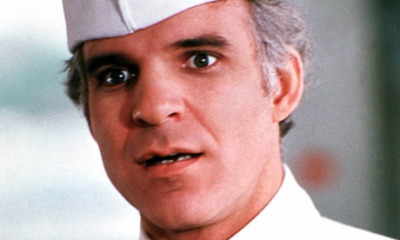 There was no DOC that I was aware of and my sharing was mostly a catharsis, as I didn't expect anyone to see it. I only ever shared the link (Which wasn't ArdensDay.com) with close friends and family. This blog acted as a writing class for me, it helped me to express feelings that I would have otherwise kept locked up and I still furrow my brow and wonder how this all happened when I receive a monthly report of the site's traffic. To say that I didn't expect any of this, is an understatement of epic proportions. I did however always want to tell stories, I just never thought they would be real stories. I wanted to write fiction, but this form of expression seems to have found me and I know now that I'm meant to share from my heart, not my imagination. Fast forward a few hundred blog entries and now the DOC exists and bloggers are getting noticed, some even get asked to write books. Other's good fortune presented me with an opportunity to speak directly with a publisher, who only knows me as a diabetes blogger. That woman wasn't talking to me because she wanted me to write, she called me because I forgot to include a bio line for a sidebar that I contributed to a book she was publishing. This was the chanciest meeting of chance meetings, it never should have happened, I never should have been on the phone with this person - but I was, and so I acted. I idiotically pitched my idea for a parenting memoir to a publisher of medical books, because why not? Because, when was I ever going to get this chance again? Writing the book took forever. Handing it in was one of the most stressful things that I've ever done. I feared that no one would like it, that it wouldn't pass muster, that I was about to embarrass myself in a way that I couldn't bounce back from - but the risk seemed worth it, I wanted to tell a story. Writing was personally difficult, handing the book in was an exercise in humility but when the book was well-received... I couldn't believe it. I doubted myself as a writer even as glowing reviews were filling my inbox. "I've just spent the last 6 hours or so reading what I consider to be one of the best non-fiction books ever written. Once I opened it up and began reading, I couldn't put it down until I reached the end - even while I was cooking my dinner I had it in my hand. What an absolute pleasure to read. I don’t think I can put into words just how much I enjoyed this book." Those wonderful words that the reader used empowered me, though not for the reason you may imagine. I didn't read it and suddenly stop doubting my writing, I may always do that. I read her words, and they desperately made me desire for other people to feel the way that she did. Her reaction is why I wanted to write the book, it's why I wrote as a child, and why I write this blog. I've always wanted others to see life through my eyes, if only for a moment. I elude to my question a lot. I try to find ways to lead you, images, tweets, drawing attention to reviews, but I've never been able to just ask... until now. Because, why not? That attitude won me the chance to write a book and I'm hoping that it will give me a chance to help more people to find it. So here's my question, and please know that I ask it with great respect and a sincere amount of humility. Would you please read my book? 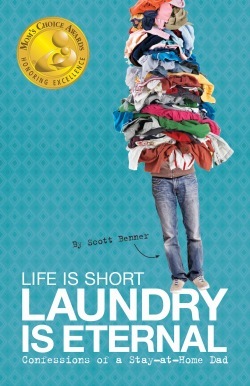 Starting this Monday, I'm going to post daily, a different review of my book, 'Life Is Short, Laundry Is Eternal' on my social media pages. My publisher tells me that people don't buy parenting themed books from October to January (Talk about market research, huh?) but I want to try and change that line of thinking. In honesty, I want other people to feel my story because I think it's all of our stories. Even more honestly, I want to write again and help other people to access those emotions. In the world of publishing, there is only one thing that will get me to that place - If you read the Life Is Short and enjoyed it, please tell a friend, give it as a holiday gift and leave a review online at Amazon, Barnes & Noble, iTunes. If you haven't read it, please pick a copy and give it it try. Well, I feel insanely uneasy about posting this but... dammit she read the book while she was making dinner. I hope that you all have a wonderful Thanksgiving, I'll be taking a break from blogging next week so I can prep for the holiday and do some non-diabetes related writing- but I'll be back soon! Thank you all so much for reading Arden's Day, it's a the pleasure of a lifetime to speak with you in this intimate setting. If you have time, can I ask you to answer just a handful of fast question so that I can understand better how the book, is or isn't finding it's way in the world. Anonymously of course. When things go wrong, they go wrong.